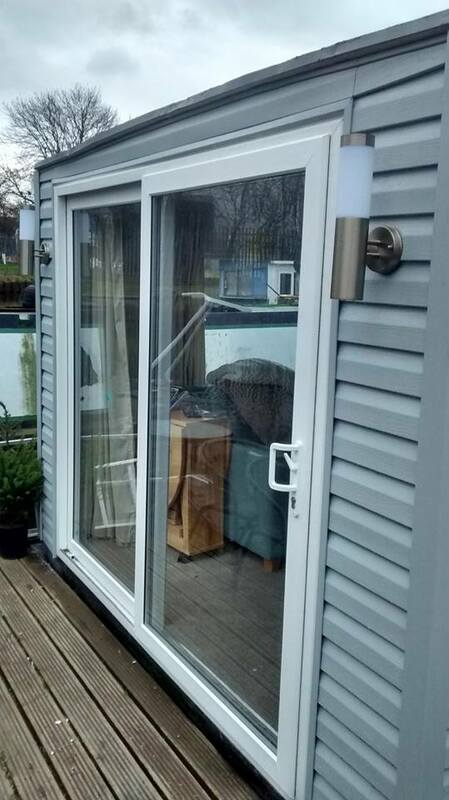 Get An External Caravan Makeover by Replacing Caravan Panels with our Vinyl Cladding. 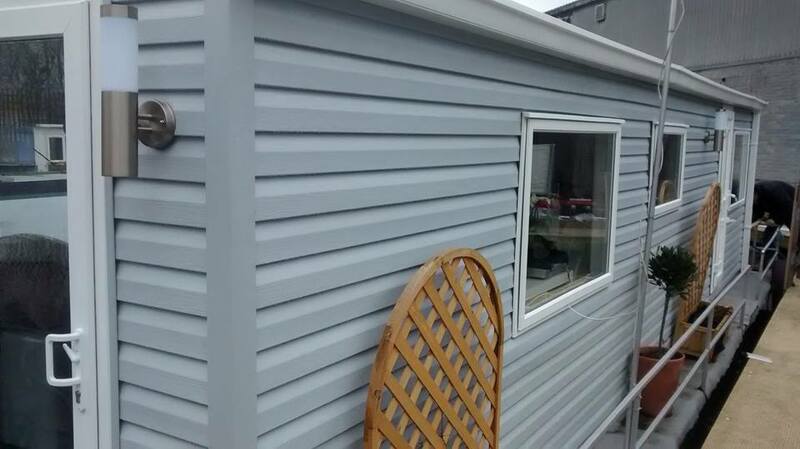 For this Caravan Improvement and/or Repair we use a vinyl cladding that is maintenance free & is guaranteed for 50 years. This not only visually transforms your holiday home but also adds the aspect of Caravan Insulation as Part Of The "Bonus" Feature to the Improvement. There are various colours you can choose from to give your Static Caravan a new look and character upgrade. 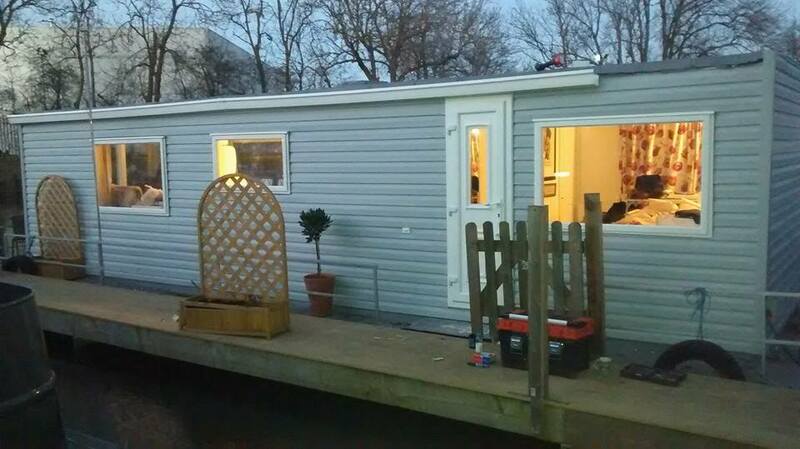 Caravan Cladding by SNS Caravan Repairs. We Have Added Some "Before & After" Photos Below. We Have More In Our Photo Gallery. 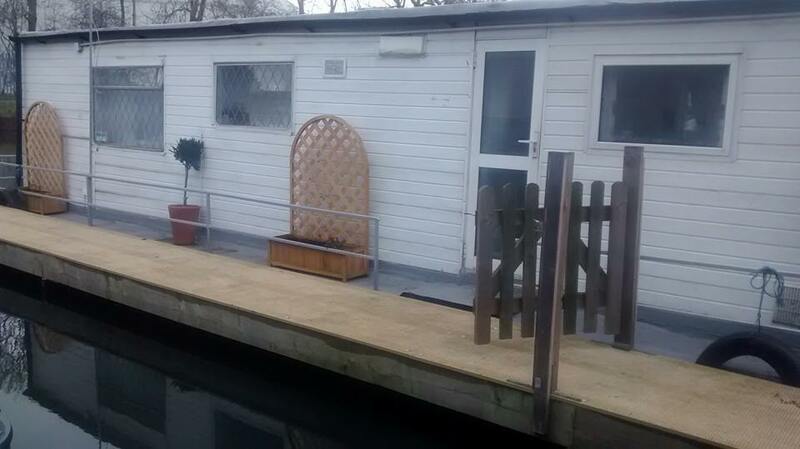 This Caravan Cladding Improvement Service From Us Here at SNS Really Can Restyle Your Static Caravan Exterior Completely, This Is Actually One Of Our Favourite Enhancements. Inspect For Yourself Below. An Exterior Renovation was Requested. Work Included Vinyl Cladding, Double Glazing and Guttering. 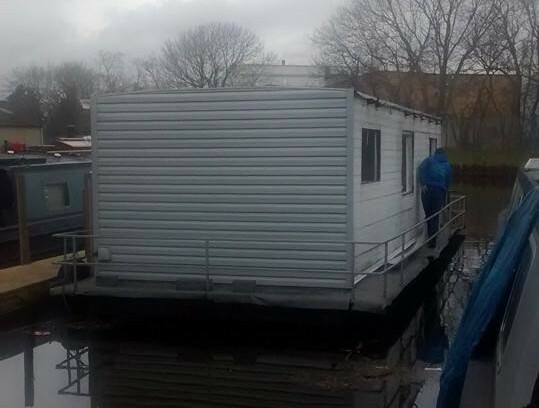 Almost A Caravan But This Time A Complete External Rework on A Houseboat. We Could Not Wait To Show You, Hence The Part Fitted Gutter, Dont Worry It Went Up Straight After. Another Happy Customer. They Also Had Our Double Glazed Windows Installed. Please Do Get In-Touch For A Chat If You Have Any Uncommon Requests. Before - This Time A Photo Of The Back Prior To Cladding. 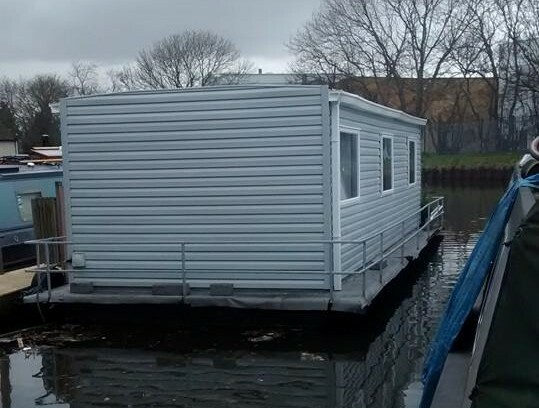 After - Caravan Vinyl Cladding Fitted To This Houseboat. and Double Glazing To Be Fitted. 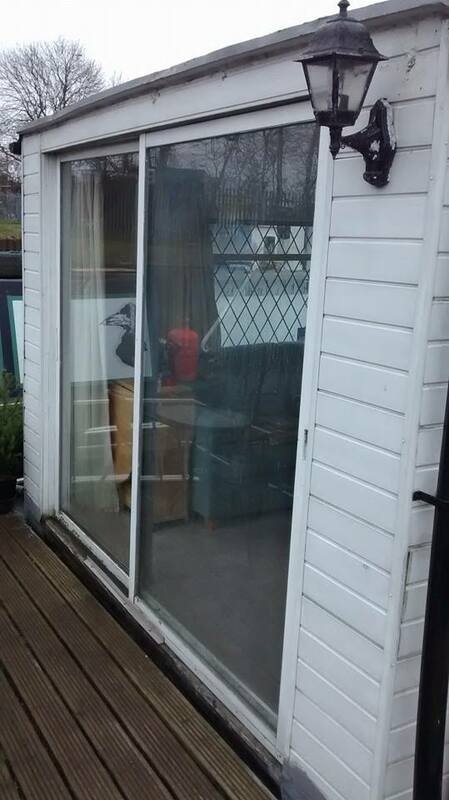 After - Cladding plus Double Glazed Windows and Doors.